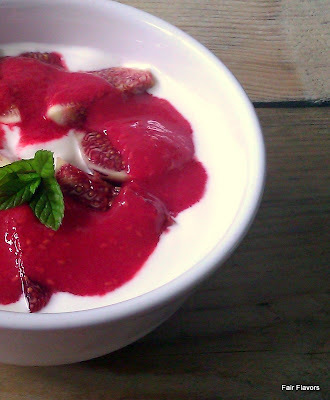 I don't eat fruits every day, because of their high sugar content. But when I do, I like to make something nice and pretty with it, instead of just eating an apple. This easy recipe combines a few of my favorites. I just love fresh figs. And according to this post on Mark's daily apple, they're not even very sugary. Raspberries are probably my favorite in the "berry categorie" and as luck would have it, I found some nice fresh and juicy figs and raspberries on yesterday's market. Put the mint in the water, in a glass or measuring cup. Crush or muddle the mint leaves. Be patient with this. The better you crush them, the more of the flavor is released. Transfer the mixture into a sauce pan and heat on very low. Let it simmer for a few minutes, so the water takes on as much of the mint flavor as possible, but don't let it cook for a long time, because then all the liquid will evaporate (a little is ok). Strain the liquid and let it cool. Add the minty water to the rasperries and puree until it becomes a smooth sauce (you can add a little sweetener to it if you want, I didn't bother). 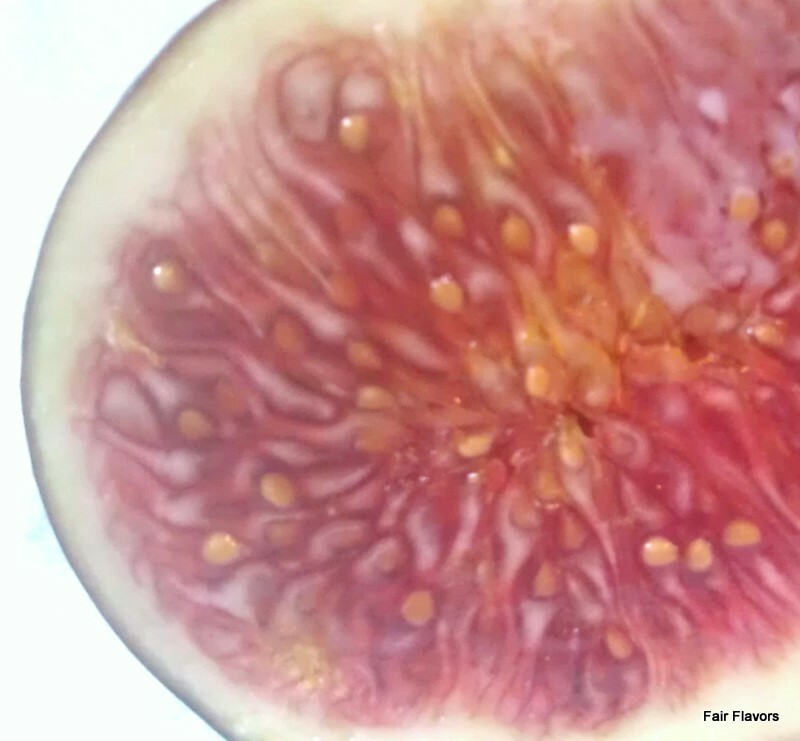 Cut the figs into quarters and with a teaspoon, scoop the flesh out of the skin. 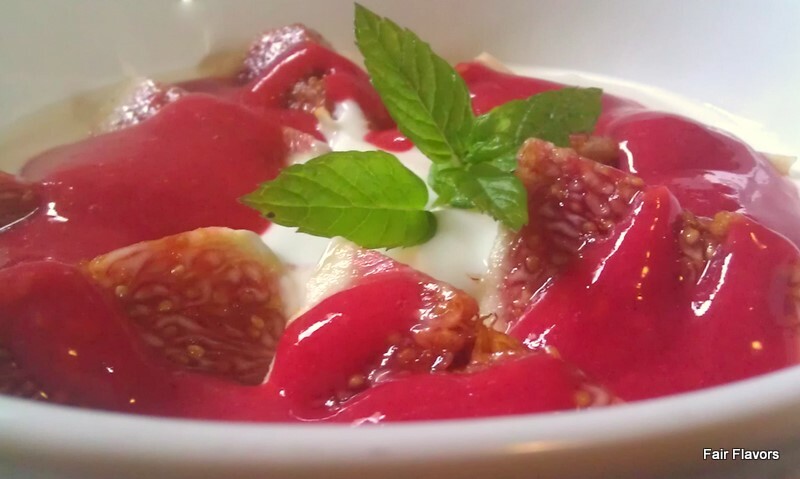 Pour some yogurt into bowls, devide the figs between them and pour the raspberry-mint sauce on top.